As rainy and snowy seasons draw near, it’s time to winterize and waterproof all your favorite wearables. 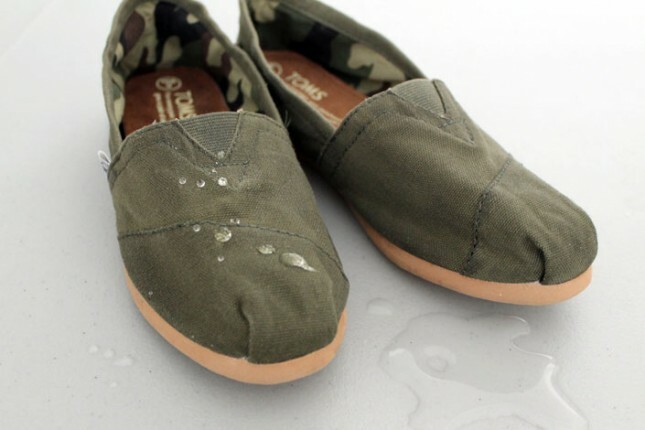 That old pair of Toms or Vans isn’t getting any more waterproof as the months go by, and you’ve gotta keep your toesies warm! 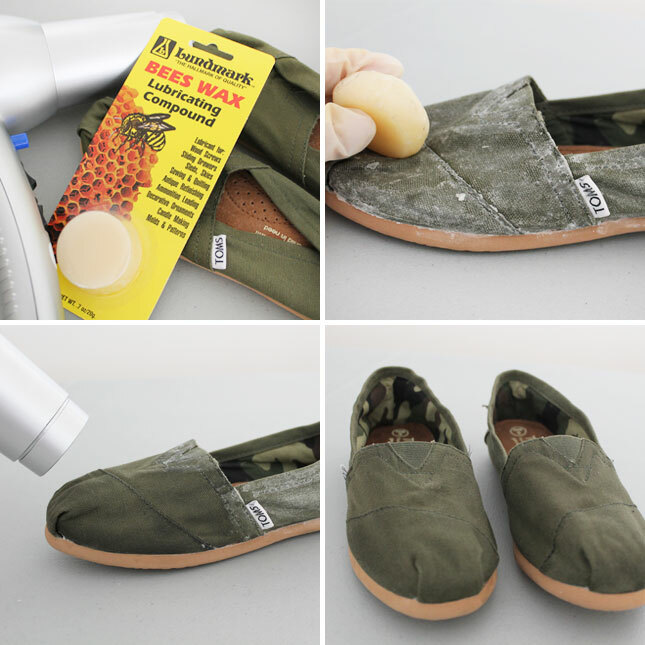 Here’s a ridiculously easy way to waterproof your canvas shoes using nothing but beeswax and a blowdryer. Here’s a quick shot of before and after waterproofing. As you can see, the beeswax also stiffens up your shoes a little bit. They’re still comfy, just need a little re-break-in. 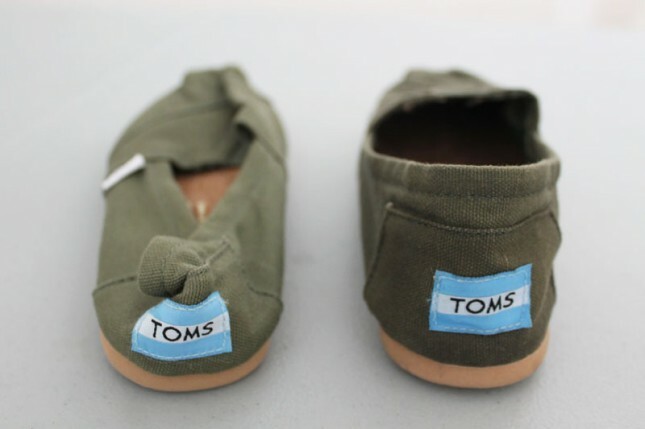 Rub the beeswax over the entirety of the shoe. If you have dishwashing gloves or rubber gloves, throw those on to keep your hands clean. The beeswax washes off pretty easily though so this isn’t crucial. Next, use a blow dryer to seal the deal. Melt the wax all over the shoe then let set for about 5 minutes before wearing! 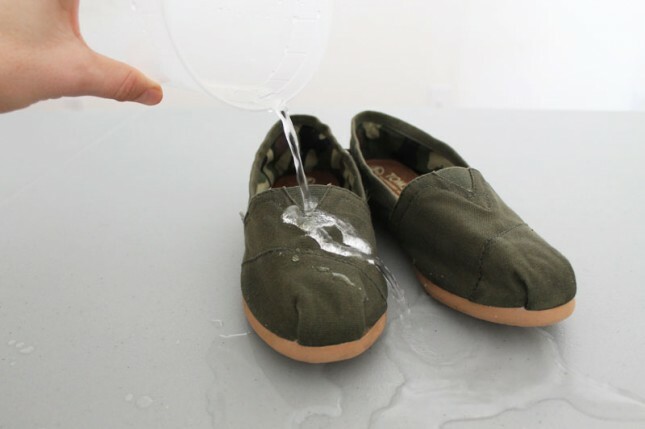 Splash a little water to test out your new waterproof shoes. 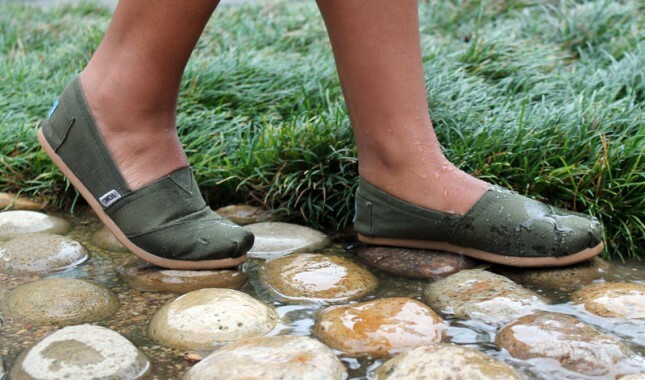 Now get outside and splash around in all those rainy puddles! !